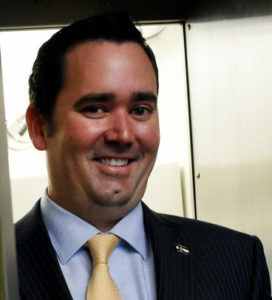 What Else is Walker Stapleton Hiding? If you missed this story from the Colorado Independent last week, you almost certainly weren’t alone; publishing a story on a Friday afternoon before a three-day Holiday weekend is the news equivalent of throwing rocks at the sun. But just because the story might have gotten lost doesn’t mean it isn’t important. State Treasurer Walker Stapleton will be amending a financial disclosure form he filed with the state as part of his run for governor after The Colorado Independent questioned why the blind trust he said holds his assets was not listed on the form. “We are filing a clarification,” said Stapleton’s campaign manager Michael Fortney following inquiries about the public document, which is called a personal financial disclosure statement and is required by candidates for state office in Colorado. In question is Rocky Mountain Trust LLC, which incorporated after Stapleton, a political newcomer at the time, won office as state treasurer in 2010. Stapleton has said Rocky Mountain Trust is a “blind trust” – a tool some elected officials and others use to avoid potential conflicts of interest in their investments. The arrangements vary. In some blind trusts, the person who owns the assets is totally blind to what investments the trust holds. In others, they know what assets are, but are not involved with managing or making decisions about them. We noted last week that Stapleton is less-than-enthusiastic about disclosing his tax returns, which is something that has long been a common practice for candidates seeking the top office in Colorado. The existence of Stapleton’s “blind trust” was announced by Stapleton himself in a recent interview with the Independent, though he initially balked at the idea of disclosing any information about the trust. Stapleton told The Colorado Independent the reason he set up a trust in 2012 is that reporters questioned whether business he did with the bank Wells Fargo, which is a vendor of the state, would be a conflict as treasurer who would be in charge of choosing public financing firms for, say, a bond offering. “In order to avoid any conflict of interest, a blind trust was the best thing that made sense,” he said. Can you really have a “blind trust” if you know what’s included in the trust? That’s not a rhetorical question. He could hide a lot of walnuts in those chubby cheeks! Payment of $130,000 to Stormy Daniels.